A healthy smile is a confident smile and we believe that every child deserves the opportunity to smile with confidence. While orthodontists are widely thought of as teeth straighteners, correcting crooked teeth is only a small part of what we do. Moving teeth can have a significant impact on many things including long term oral health, facial aesthetics and profile changes. Technology has played an amazing role in orthodontics allowing us to more precisely diagnose and treat our patients. Innovations in the orthodontic appliances that we use can achieve the intended results faster, with less inconvenience and with less discomfort. 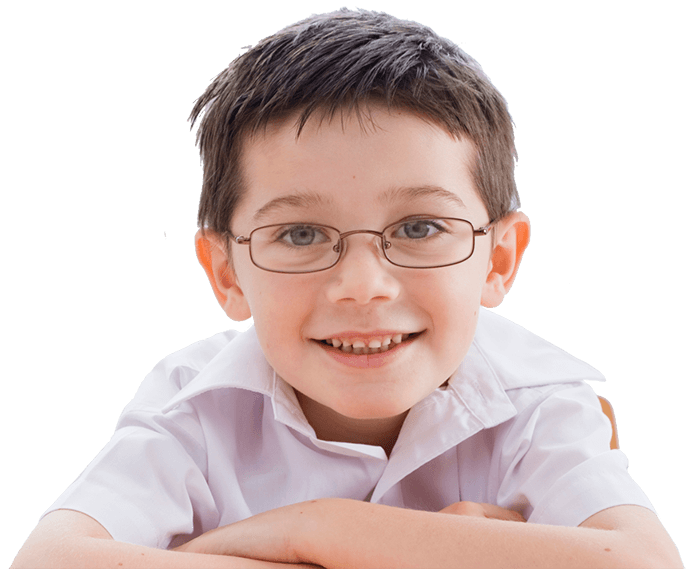 Dr. Castagna and the American Association of Orthodontists recommend that every child see an orthodontist as early as age 7 and even earlier if a parent or the family dentist discovers a problem. Since no two patients are alike, there is not a specific age that is best to begin treatment. Interceptive treatment is not always necessary, but it will be recommended when it can benefit your child. Early diagnosis and treatment by Dr. Castagna can correct small problems before they become bigger problems. At New Smile Orthodontics, our goal is to reduce or eliminate treatment time in full braces and to provide the best, most stable results possible. 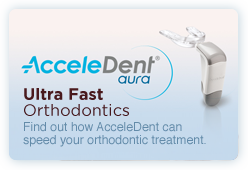 Orthodontic treatment is most effective when done at the appropriate time in terms of patient growth and development. Using this as a guide, early intervention can make a dramatic impact on establishing the proper occlusal foundation. By the age of 7, some of the permanent teeth have erupted, so that most children have a mix of adult and baby teeth. At this stage of mixed dentition, Dr. Castagna can spot potential orthodontic problems related to jaw growth and eruption of adult teeth. Early diagnosis and treatment in many cases can help to avoid more extensive treatment in the future years after the jaw and face have developed. Typical signs of the need for an orthodontic exam may include, but are not limited to anterior and/or posterior crossbite, a finger habit and severe crowding. Signs of potential orthodontic problems may not be obvious. 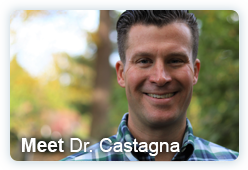 Dr. Castagna will do a thorough analysis and explain why early treatment is needed. 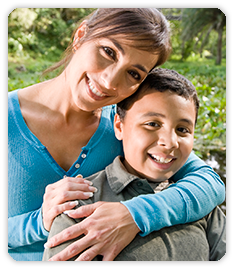 Comprehensive Adolescent treatment usually begins when all or most permanent teeth are erupted and patients are at one of their most active phases of growth. This is a great time to correct most problems, as the jaws are actively growing and their growth can be most easily modified during this time. For those who can benefit from orthodontics, age is not a factor. 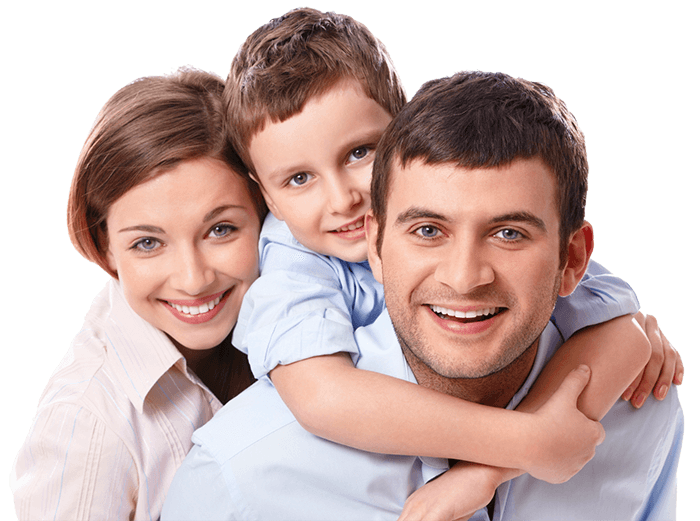 We are happy to provide orthodontic care to patients of all ages. Many adults realize that improving the health of their mouths and the attractiveness of their smiles and facial appearances can result in changes for the better in their personal, social, and professional lives. 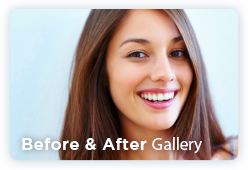 Our adult patients sometimes have esthetic concerns and because of this we are happy to offer multiple treatment options including clear/esthetic brackets, Invisalign and lingual braces.